I was playing with the AppleTV (4th gen) the other day and accidentally triggered one of the developer tools, so I poked around a bit more & came up with the following combos. Hold for 3 seconds & release – This will save a “stackshot”, this is ued by developers for troubleshooting apps. Hold for 10 seconds & release – This will presumably take a screenshot. You can hear the screenshot sound, but I have not figured out where the screenshots end up. I’ve had a few people at the trailhead comment on the trailer lights I put on my hitch mounted rack so I thought I’d do up a quick post about the parts/process. A pair of trailer lights. I use this set due to the low profile. The first step is to wire the lights up temporarily to make sure all the connections are correct. There is a good wiring info table on eTrailer: eTrailer Wiring FAQ this is where I found the info for the below. All the whites together & bolt these directly to the bike rack for a ground. 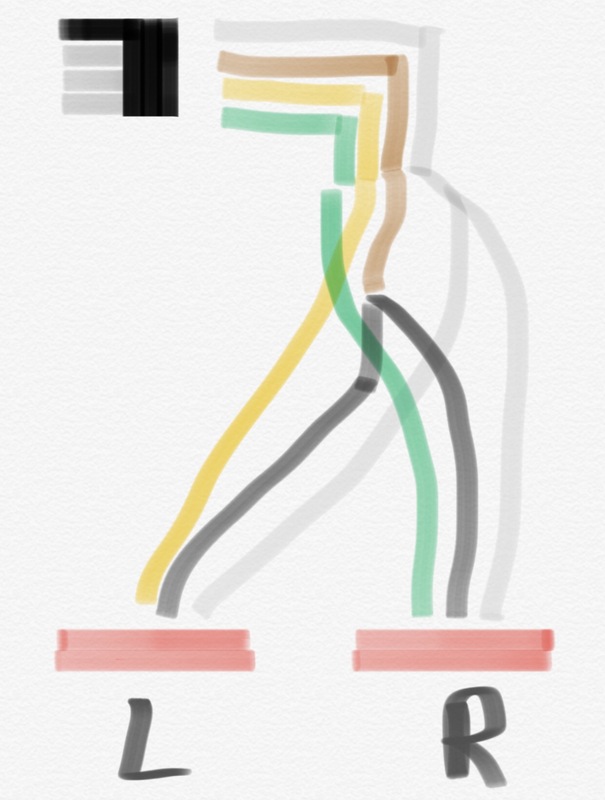 Connect the Brown/Green to the black wire on one of the lights. Connect the brown to the black wire on the other light. Connect the green wire to the green wire on the RIGHT light. Connect the yellow wire to the green wire on the LEFT light. This is a new Strava Labs thing. Shows you where you were in relation to your buddies from the same ride. We were planning to go over to Griffin Park Bike Park in Terre Haute Indiana, but it got rained out the night before. Instead we ended up going to Castlewood State Park a little west of St. Louis. Sadly we didn’t have the time to do more than one park, so we only saw Castlewood today. We did luck out and there happened to be a demo day for Niner Bikes, due to this I got to take a Rip 9 RDO out for a spin through the trails. It’s the first time I’ve gotten to take a full suspension bike off road. The bike was very nice & handled well going up or down hill with ease. Unfortunately its $6600 price tag puts it a little outside my budget. A good portion of the trails we rode where covered in rock which made traction difficult @ times. There were a lot of trails which just seemed too difficult to ride, so we ended up walking a couple like Cardiac Hill & the beginning of River Scene, although in River Scene we were going the wrong way so we had to walk up the first stretch. Also I felt like some of the trails aren’t rated properly. The first section of River Scene when going down seems like it should be a black diamond as it’s a very steep shale covered hill, with a lot of larger rocks. Overall it was a great place to ride and I’m sure there will be other (better planned) trips out there in the future where we will ride more of the trails and get to the other parks in the area.